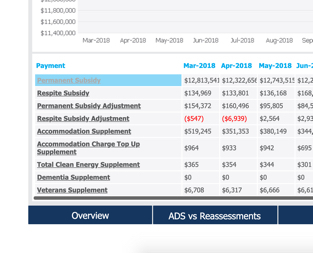 Forecast your revenue to understand what next month’s Medicare payment will be before it’s paid. 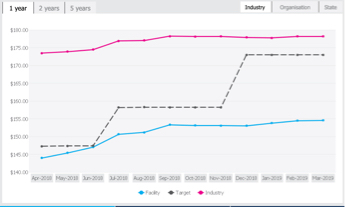 Monitor historical financial performance. 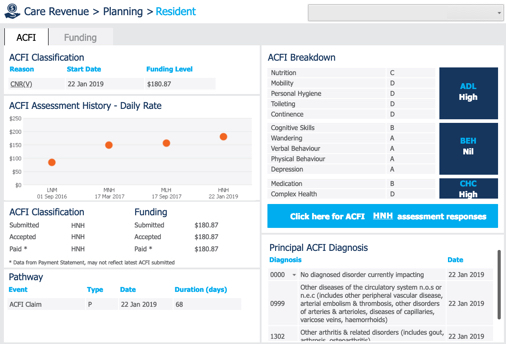 Find and monitor ACFI uplifts to ensure care payments align with care needs and identify areas for improvement and track progress to budgets. Identify upcoming new entry & expiring claims and their mandatory submission dates. Review respite residents to ensure they have been successfully processed into permanent beds or out of the facility. Confirm that all complex health procedures being undertaken are being claimed and ensure all claimed procedures do not pose a validation risk. Encourages a targeted approach to ensure ACFI funding is sustainable. 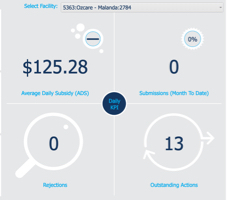 Improves quality of Medicare information by reducing the risk of incomplete or incorrect Medicare data. 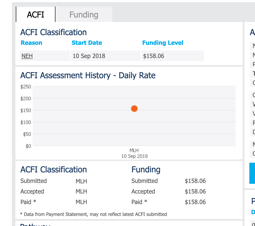 Confirm ACFI related events submitted to Medicare have been accepted to ensure there are no discrepancy which could cause reduced payments and/or increased workload. 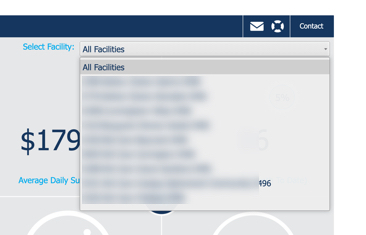 Discover the data at an organisation level or break it down per facility. Reconcile ACFIs submitted versus ACFIs paid and action as appropriate. 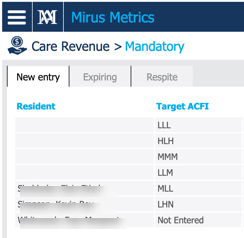 Confirm ACFI submissions have been accepted by Medicare as expected.